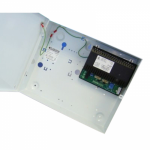 Elmdene are a manufacturer of electronic products for the security, access control and fire industries all around the globe. With over 40 years experience within their industries, Elmdene has managed to grow and develop in order to introduce new products in order to meet the requirements of the customers, and meet the needs of new standards that arrive within the market. At AC Leigh, we specialise in supplying a fantastic range of Elmdene products, especially their high-quality power supplies. 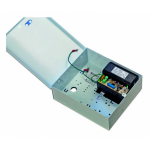 We supply both small and large Elmdene power supplies, all at highly competitive prices.